Earn more by taking more passengers going the same way. GrabShare is a carpooling service that allows passengers to share the ride and the fare while Driver-Partners get to earn more by picking up multiple passengers headed along the same way. 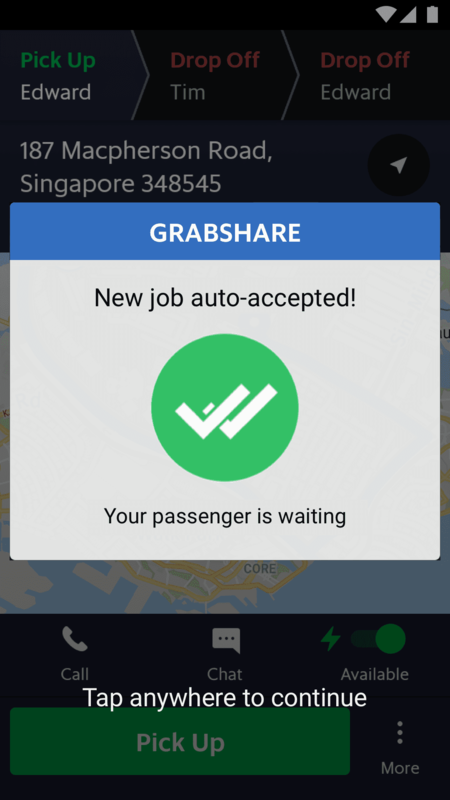 GrabShare utilises existing JustGrab Driver-Partners and allows you to take on multiple jobs per trip for passengers travelling in the same direction. This means you can now potentially earn more by receiving more fares from more matches! Maximise space in your car by filling up your seats with more passengers per trip. Be kind to the environment. Carpooling reduces your carbon footprint. 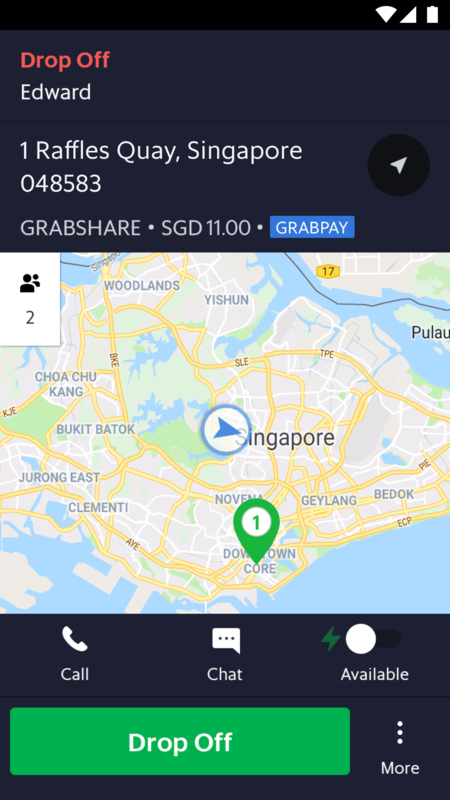 How is GrabShare different from JustGrab? The chance to earn more is right in your Grab Driver’s App. Any tolls or ERP charges will be paid by whichever passenger was in the vehicle when the it passes through the toll or ERP gantry. If there are multiple parties, the charges are split equally. The Grab app provides the most optimal trip sequence to minimise travelling time. Follow the pick-up and drop-off sequences shown for a seamless experience. A waiting time grace period of 3 minutes applies at the passenger's pick-up point. Additional waiting time charges will apply after 3 minutes (refer to FAQ below). Simply launch the Grab app and start earning more. GrabShare is a carpooling service where multiple groups of passengers can share a ride while heading towards the same direction. This can result in cost savings for passengers, and more income for drivers. Please note that GrabShare bookings are disabled from 1:00am to 5:00am daily. Will I earn more with GrabShare? GrabShare increases your earning potential as you will be able to take multiple bookings and passengers within the same trip. Will my Acceptance Rating (AR) and Cancel Rating (CR) be affected if I ignore or reject a GrabShare job? Yes, ignoring or cancelling a GrabShare job will affect your overall AR and CR the same way as ignoring or cancelling any other job. How will I be able to tell if the job is a GrabShare job? If Auto Accept is enabled, the top bar of the Auto Accept alert will be blue. If Auto Accept is not enabled, the job card you receive will be blue. 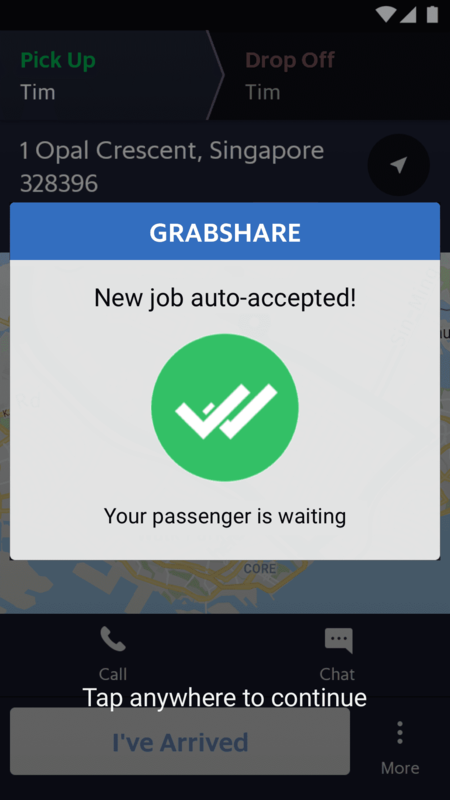 Your Grab Driver app will also indicate that it’s a GrabShare job. What if one passenger uses cash and another uses GrabPay? This won’t be a problem for GrabShare – each passenger is treated as an individual, and the payment methods do not need to be identical. How long should I wait for a GrabShare passenger, and are there any additional waiting time charges? *If there are any other passengers onboard, you will need the consent of the onboard passenger(s) if you wish to wait beyond the 3-minute grace period. How are tolls & ERP charges split on GrabShare? The ERP will be paid by whichever passenger was in the vehicle when the driver passes by the ERP, i.e. if only Passenger A is in the vehicle, Passenger A will pay the ERP fare. If there are multiple passengers are in the vehicle, the ERP charge will be split equally and rounded up to the nearest $0.05 e.g. if a $2.00 ERP toll is to be split among 3 passengers, each passenger will have to pay $0.70 (rounded up from $0.66). *Location surcharge for drop-off at Fuji Xerox Towers is applicable, and will be split for all passengers in the vehicle heading to this location. How many passengers will I ferry at any one time? You may ferry up to three parties of passengers at any one time. Each party is allowed to bring one additional passenger. Please note that the number of passengers at any one time would never exceed the number of available seats in your vehicle. What if a passenger turns up with more passengers than what is indicated on my Grab Driver app? Politely advise the passenger that you will not be able to transport more passengers than what is indicated in their booking as you may receive more matches, thus resulting in a vehicle overload. The passengers may choose to board with the indicated number of passengers. Otherwise, you may cancel the booking with the cancellation reason “Too many passengers or luggage” – cancelling for such a reason will not affect your cancellation rate, click here to learn more. What should I do if the GrabShare passenger(s) asks me not to pick up an assigned match? Politely advise the passenger(s) that by booking a GrabShare ride, they have accepted that they may be required to share their ride. Please stay calm and do not engage in an argument with your passenger. You may advise them to contact Grab Support if they have issues with the GrabShare service. What happens if my GrabShare job is unmatched? You’ll be protected with 0% unmatched commissions for ALL jobs, regardless of whether the driver is on AA. The Earnings Guarantee provides further income protection for you. If you are subjected to commission rates higher than 20%, you will only get 20% of the fare commissions back. Can the passenger request for additional stops or change in drop-off location? 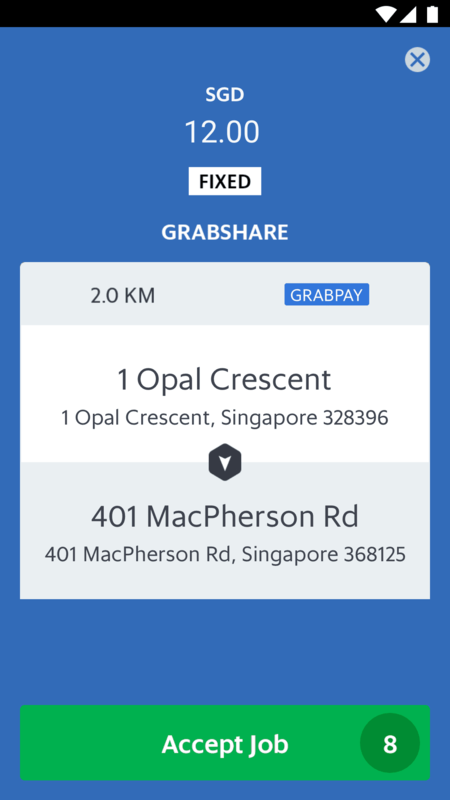 Additional stops or change in drop-off location are not permitted for GrabShare. If a passenger on GrabShare makes such a request, please advise them that this is not allowed, and that they may choose to book another ride after alighting at their initial destination. Alternatively, if they decide to drop early before their destination, you may drop them off but the original full fare of the ride will be charged. 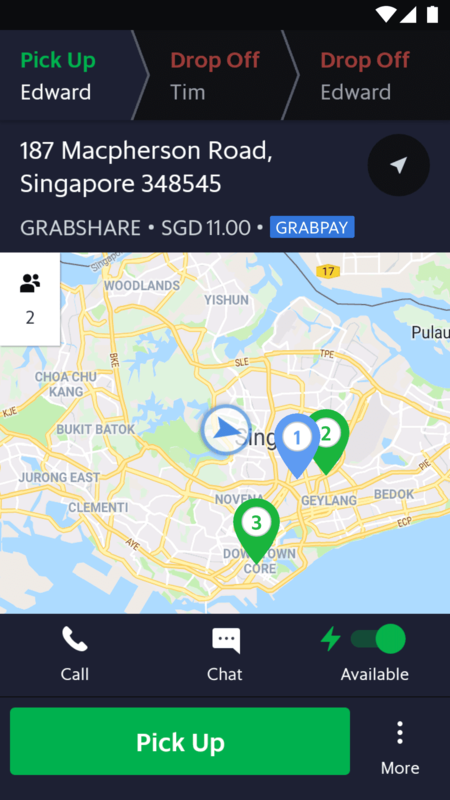 (For Taxi Driver-Partners) How do I key in fixed fares for GrabShare? Please set the meter according to the fixed fare of the current ride. If a passenger requires a physical receipt, do check and revise the amount where necessary, before printing.